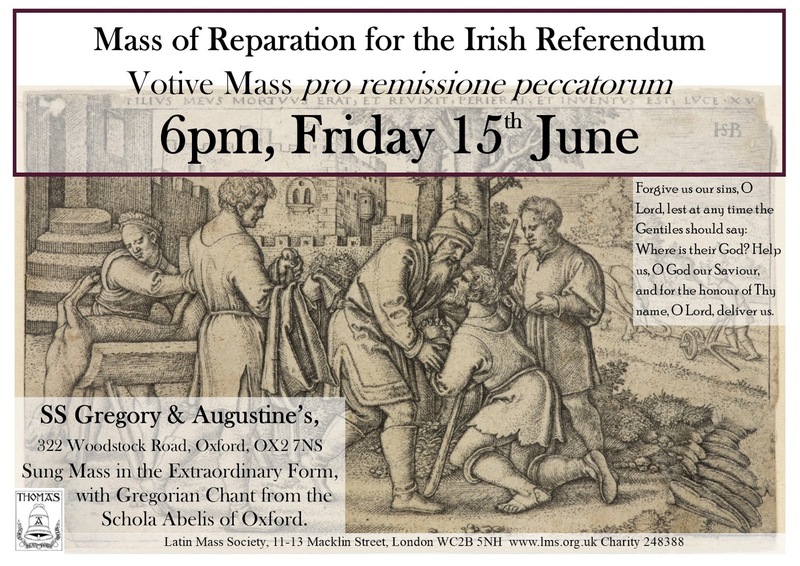 I'm happy to announce not only a Mass pro remissione peccatorum (for the remission of sins) in Oxford, but also one in London. 6pm Friday 15th June, Sung Mass. London: Our Lady of the Assumption, Warwick Steet. 7pm Wednesday 4th July, Sung Mass. These Masses are offered in reparation for abortion, in light of the Irish Referendum result. Can you please confirm the date for the London Mass as July 4th in my diary is a Wednesday! Is it perhaps the 14th?